What is Trust and Types of Trusts? HomeBlogBlogWhat is Trust and Types of Trusts? In law a trust is a relationship where property is held by one party for the benefit of another party. A trust is created by the owner, also called a “settlor”, “trustor” or “grantor” who transfers property to a trustee. 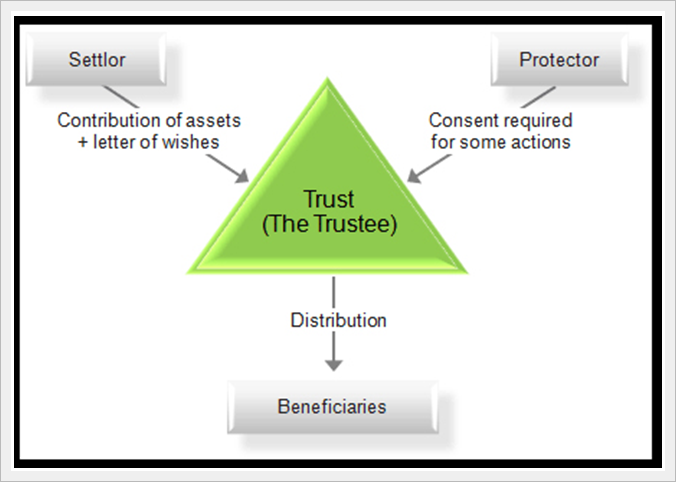 The trustee holds that property for the trust’s beneficiaries. A trust is simply a mechanism by which assets can be held for the benefit of another person upon specified conditions. Instead of transferring ownership of the property to the ultimate recipient with no conditions attached, you can arrange to give it to another person or entity “in trust”, meaning that the recipient will only receive the funds at a certain time, and/or under certain conditions. The person who creates the trust is referred to as the “settlor”; and the person for whom the assets are being held is referred to as the “beneficiary”. Unlike a corporation, a trust is not a legal entity. It is simply a relationship between the trustee, who holds legal title to the asset, and the beneficiary, who holds beneficial ownership of the asset, and the beneficiary, who holds beneficial ownership of the asset. The trustee must always act in the best interests of the beneficiary, since they are acting as a “fiduciary”. 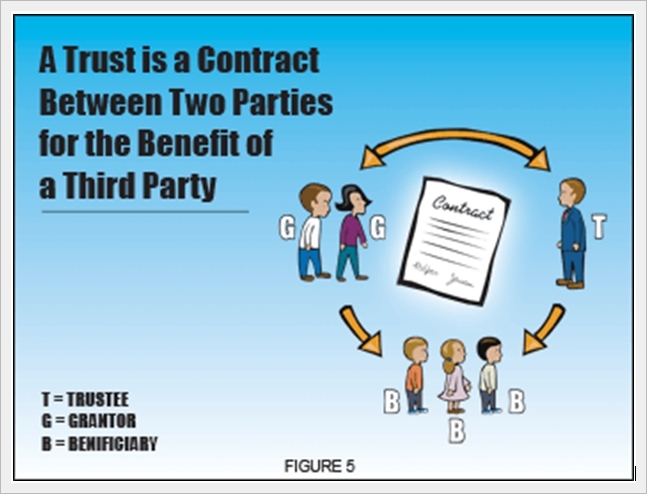 Although a trust generally does not have to be in writing, it is recommended that a trust agreement be signed indicating the terms of the trust and the powers of the trustee to avoid disputes in the future. Trusts that involve real property or those governed by the laws of Quebec must be in writing. When you have a disabled child to whom you would like to leave a portion of your estate, but you are concerned about their ability to continue to receive social assistance. As you can see, there are many instances where a trust may be used for control purposes. If you want to leave money to someone else, but only upon certain conditions, then a trust is usually the best mechanism to use. If you want to leave funds to beneficiaries at the time of your death, when you will no longer be able to control when and how the money will be used, a trust is generally the only option if for some reason you do not feel that it is appropriate to leave the funds directly to the beneficiary. Speak to your lawyer when you are re-writing your will to ensure that the proper conditions are attached to the gifts you are leaving to your heirs. If the trust is created during the lifetime of the person who has created the trust, it will be referred to as in inter vivostrust. If the trust is created in a person’s will, and therefore only takes effect at the time of their death, it is referred to as a testamentary trust. The term inter vivos is a Latin term that refers to trusts during the settlor’s lifetime. There are many different types of inter vivos trusts – a trust can be an inter vivos spouse trust, an inter vivos family trust, an inter vivos alter ego trust, etc. However, because every dollar of income taxed within an inter vivos trust is taxed at the highest marginal rate, and because of the relatively high cost to create and maintain these trusts, the use of inter vivos trusts is somewhat limited. The most popular form of inter vivos trust is a family trust. Family trusts are more frequently used in the context of business succession planning. Testamentary trusts are created at the time of death of the settlor. They may be created in a will, or in a separate declaration that states that the trust is not to come into effect until the time of the settlor’s death. However, a testamentary trust may only be created by an individual – it cannot be created by another trust. When you have a disabled child to whom you would like to lave portion of your estate, but you are concerned about their ability to continue to receive social assistance. An insurance trust is a form of testamentary trust that is used in order to maintain control over an estate, while at the same time saving probate fees. Henson trusts are a form of testamentary trust that are used to maintain control over an estate that is intended for an disabled beneficiary, while at the same time preserving the beneficiary’s right to receive social assistance payments. Qualified Disability Trusts are testamentary trusts created for disabled persons that meet a number of conditions such that their income is taxed at the graduated rates of tax rather than all at the highest marginal rate. Depending upon how they are structures, they may also be considered Henson trusts. Spouse trusts are a form of trust that may, in fact, be established either for married or common-law spouses. These types of trusts provide for control in situation where there are blended families. The term “family trust” is applied to trusts that have been established for family members. The label “family trust” is not a legal term, but merely a manner of describing the beneficiaries of the trust. Family trusts are usually completely discretionary in nature, meaning that the trustees have the discretion to decide which beneficiaries will receive, and when they will receive it. Family trusts are most frequently used in the context of business succession planning. An “age 40” trust is simply a trust that is structured in a way that takes advantage of certain opportunities set out in the Income Tax Act. If a trust is created for a minor, and the assets are held on condition that they are not to be received by the beneficiary until some point in the future, but that date will be no later than their 40th birthday, then certain types of tax planning may be available. If the trust is non-discretionary in nature, meaning that the beneficiary is entitled to receive all of the income every year, but it is to be held in trust as mentioned above, then the income can be taxed in the hands of the beneficiary each year until they turn 21, even though it is not paid out to them. Assuming the beneficiary is in a low tax bracket, this may result in the income being taxed at a very low rate, even though the assets themselves will remain in the trust, so the trustees will retain control over them. An Age 40 Trust created during the settlor’s lifetime will usually be used to split income on capital gains (as opposed to regular income) since income (interest, dividends, rent) on an inter vivostrust is attributed back to the settlor while the beneficiary is a minor. One strategy may be to fully use the young beneficiary’s personal tax credits by triggering capital gains annually. In this way, the adjusted cost base of the trust’s investment portfolio can be continually raised so that when the trust funds are needed for the beneficiary, there may be little if any tax liability associated with cashing in the investments. These types of trusts may be appropriate if you are considering leaving assets to young beneficiaries, although they are not as frequently used as discretionary testamentary trusts or family trusts, which allow the income and capital to be paid out at the trustees’ discretion. Alter ego and joint partner trusts are inter vivosthat are usually created for the purpose of saving probate fees. However, due to the low rate of probate fees across the country, and a number of other complicating factors, these trusts are rarely used. Charitable remainder trusts are used when the donor wishes the charity to be the ultimate recipient of the asset, but the donor also wishes to retain the use of the trust, during their lifetime.